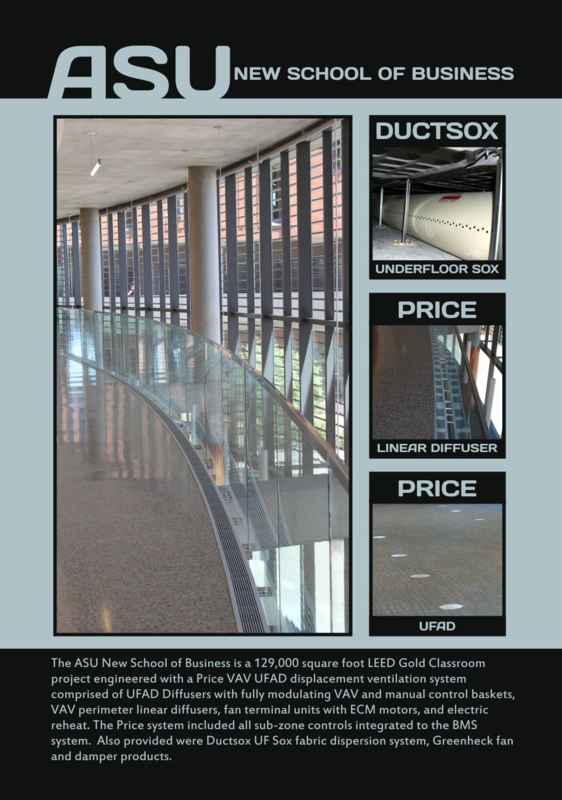 The ASU New School of Business is a 129,000 square foot LEED Gold Classroom project engineered with a Price VAV UFAD displacement ventilation system comprised of UFAD Diffusers with fully modulating VAV and manual control baskets, VAV perimeter linear diffusers, fan terminal units with ECM motors, and electric reheat. The Price system included all sub-zone controls integrated to the BMS system. Also provided were Ductsox UF Sox fabric dispersion system, Greenheck fan and damper products.